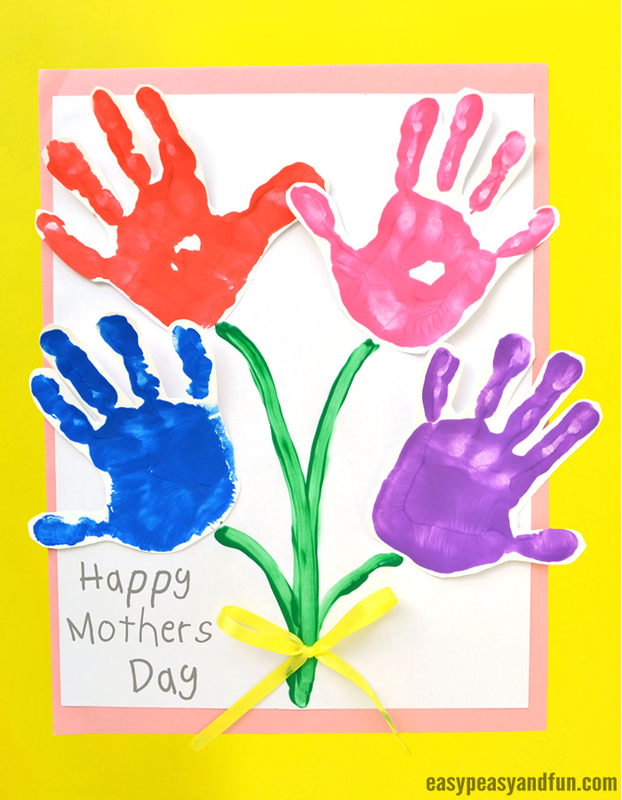 With Mother’s Day approaching we want to share this pretty Mothers Day Handprint Art Flowers idea with you. 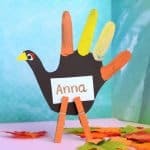 This one makes the most adorable (and treasured) kid made gift ever. 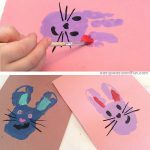 It can be made with hands from one kid, or, if you are making this at home, from handprints from all siblings or all family members. 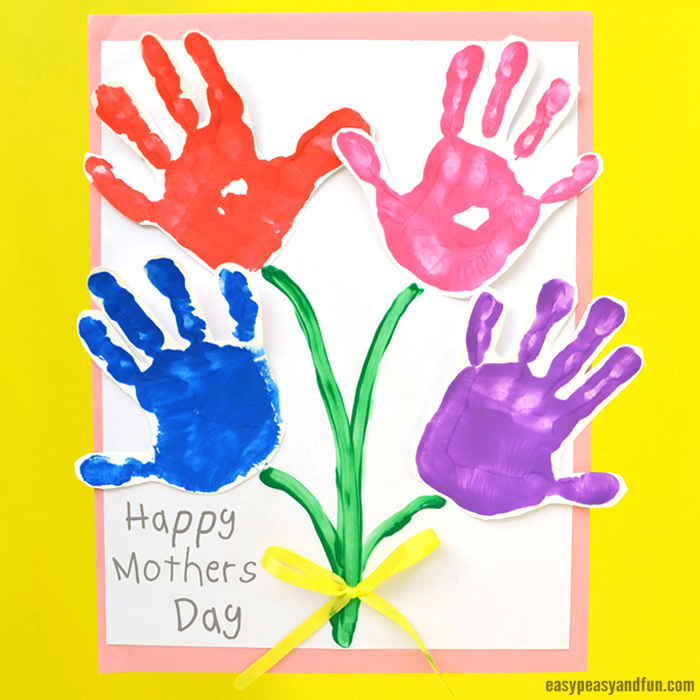 This handprint art bouquet is perfect as a classroom project too, for kids to make their Mother’s day cards or gifts (as this one can be a card – using only one handprint or as a wall display with using more). It’s perfect to use as a kid made gift for other holidays too. 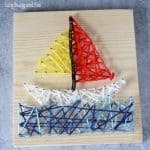 We think there isn’t a person who would not like a kid made gift as darling and thoughtful as this. And as it’s mostly flat, it can be also framed and used as a wall display. Pick your favorite colors. 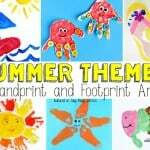 Have the kids either paint their hands by using a paintbrush or have them dip their palms in paint. 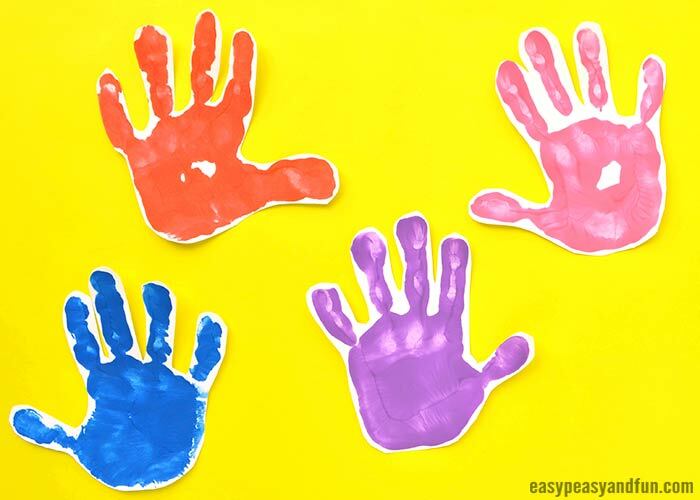 Let them press down their hands on white paper (pretty hard) and then, in one swift motion remove the hand to make the handprint. 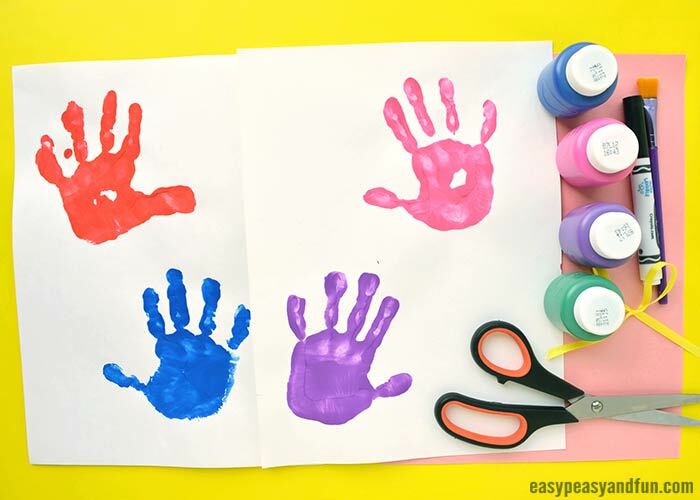 Make one, two, three, four or more handprints in one ir more colors. Let the paint dry. 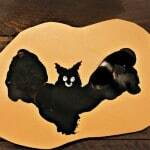 Once dry, cut along the handprint. 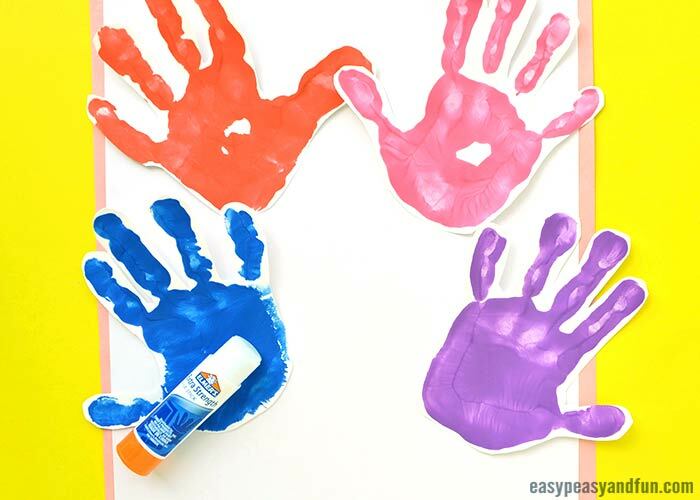 Glue the handprint on a sheet of paper or canvas. 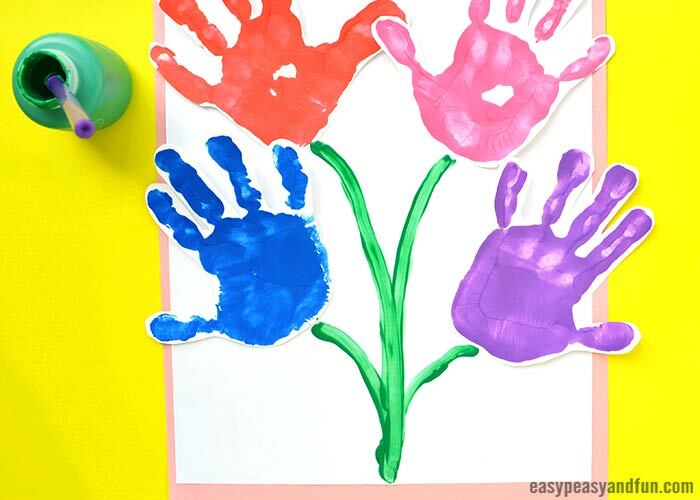 Draw flower stems with green paint (or marker). 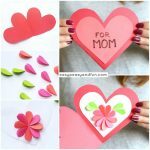 Decorate with a bow and write your Mother’s day message. Project contributed by Jess R.